I'm still astounded that DC turned this down. 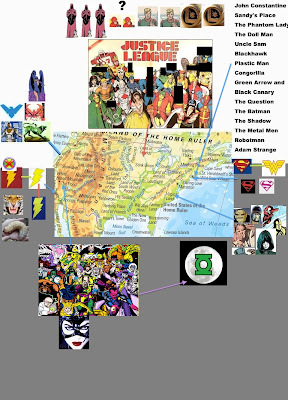 See for me, I'm just over Alan Moore's whole "destroy the Superhero genre!" schtick. Or rather, fatigued of it. See, I'm over the whole "Judge things based on their broad outlines/perceived agendas rather than the moment-to-moment experience of experiencing them". Oh, wait, I was never into that. Holy crap this is awesome. And I'm just about ready to start a DC/Marvel crossover game with the new Marvel game. Now I know what I'm using for broad strokes. What Houses would the Marvel characters be in? Would they be part of their own houses? Would all the mutants migrate to Mutant-land? And instead gave us Millennium! It eventually became Mark Waid and Alex Ross' Kingdom Come (1996). It was more "Give a proper mythological ending like the Iliad, the Mort d'Arthur, the Mahabharata War" than a deconstruction. I've never understood why Batman and Superman always get into a fist fight when they have a disagreement, even in alternate "realities." 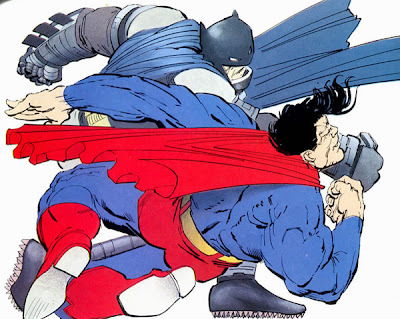 Supes knows that Batman has a kryponite ring and that Batman has better martial technique. What Superman has is super-speed, heat vision, and the ability to fly. Even evil Superman never seems to think, "Hey, I'll just fly up about 50 feet and incinerate that dude." Game over. To be honest it never occurs to Superman to just fly up really high and shoot heat vision at someone. I think sometimes they're like "Oh well he doesn't want to kill anyone" but come on. You might want to take a look at the Hero System. It's all point based, so it levels everything out quite well. The only issue with it is the character creation is kind of a pain, but it's made much easier by the character generator program they also have. Did you tried the Marvel Heroic Roleplaying? It is a nicely adaptation to the whole superheroe genre.